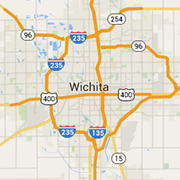 Check out some of Wichita's best eyewear dealers and optical professionals. Find designer frames, custom glasses, contacts, sunglasses and more. The latest eyewear fashions are here.